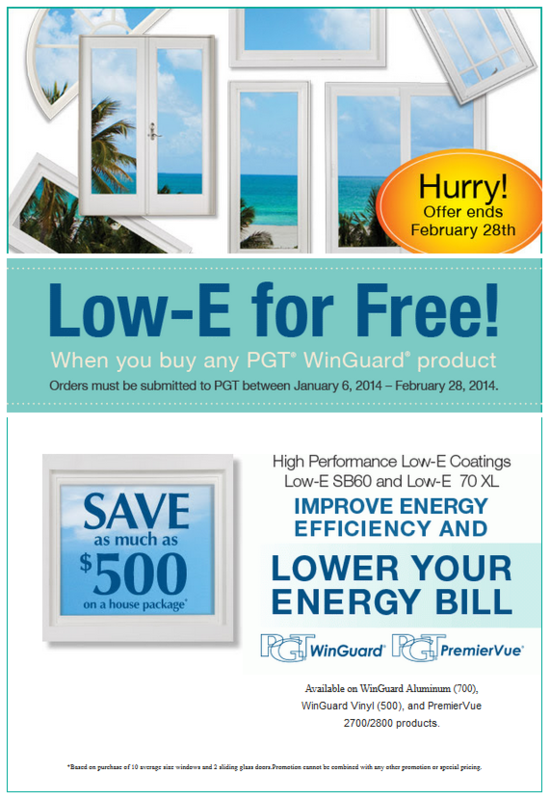 Contact LBG today about this great offer from PGT on their WinGuard products. block ultraviolet rays, increase comfort and help you better manage energy costs. 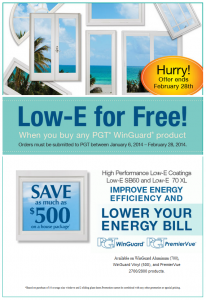 *Based on purchase of 10 average size windows and 2 sliding glass doors. Promotion cannot be combined with any other promotion or special pricing.